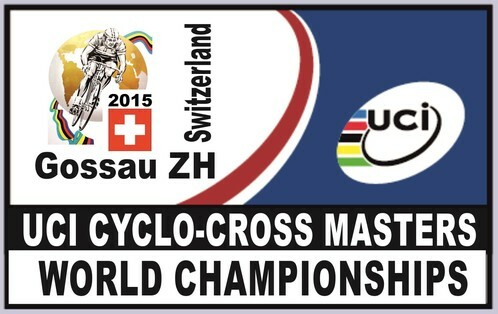 This year, the 2015 Cyclo-cross Masters World Championships will have clear age group rules, thanks in part to our January article. Here’s a Throwback Thursday a bit different from our typical look at older cyclocross race photos or bikes. And it only looks a few years back. 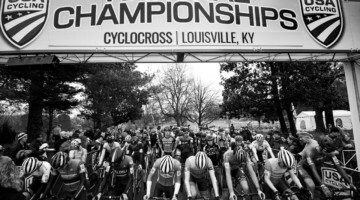 Last January, we published the piece “Shattered Dreams at Masters Worlds, Where Attendance Matters More than Age” and told the story of racers’ frustrations with the start line announcement of combined age groups for 2014 UCI Cyclocross Masters World Championship titles. 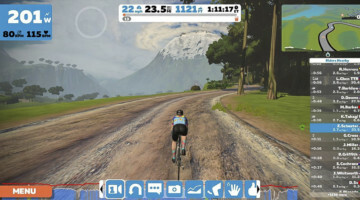 The conflicting announcements from the promoter and the UCI upset racers, especially Lillian Pfluke, an American living abroad. Pfluke told her story to Cyclocross Magazine and explained the start line surprise ruined the experience and racing against women quite a bit younger wasn’t something she would have planned her season or budget around. It wasn’t the first time such conflicting messages upset Masters Cyclocross World Championship competitors. In 2013, pre-race meetings also surprised participants with age group combinations, and older participants made it very clear that racing against competitors up to 20 years younger wasn’t something they would have budgeted the expense, vacation time, or training around. We published the article and brought the attention of the UCI to the recurring problem that was discouraging older participants from making the trip (the future of our sport depends on participation of racers of any age). The UCI’s Mike Plant, head of the Cyclocross Commission (interviewed in Issue 23), was interested in solving the problem, and told us he’d bring up the issue with the Commission. 5.4.004 The championships are usually organized in 5 year age groups: 30-34, 35-39, 40-44, etc. Age groups will be combined when less than 6 riders enter an age group. In case of combined age groups titles for the respective 5 years age groups will be awarded (even when only 1 rider is entered). The rule clearly states that while races may be combined for smaller age groups, titles will still be awarded for the 5-year increments, all the way up to the 75+ age groups. So any masters racer burned by the events of 2013 or 2014 can participate this year knowing all 10 age groups per gender will receive titles and jerseys (including Baby Masters). While eight of the men’s categories already have registrants, no women, including Pfluke have signed up yet. 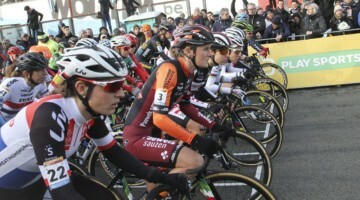 But Pfluke, one of the most vocal about the need for clear rules, will be at the start line. 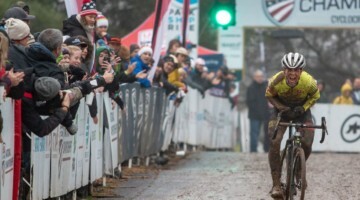 “Of course I’m going!” Pfluke told Cyclocross Magazine. She took another silver medal to add to her collection at the 2014 UCI Masters Mountain Bike World Championships in Liliehammer, where the new rules were already in place. I’ll play devils advocate. Would you really feel proud wearing a World Champions jersey if you only had to beat a few people to get it? You beat everyone who doesn’t show up. Getting yourself to the line is the first test. Jeff, two ways to think about this. 1) If you’re 80 and outlasted everyone else and did what you needed to take care of yourself to still be racing then? Sure would be proud. 2) If you never know if you’re racing for a title, the event will always have small fields because nobody but locals will sign up to race an event without knowing what they’re signing up for. In Colorado we get 60-80+ in many of the AG cats. Sure! cx is hard! If you are in your 40’s-80’s+ and racing you are pretty amazing.